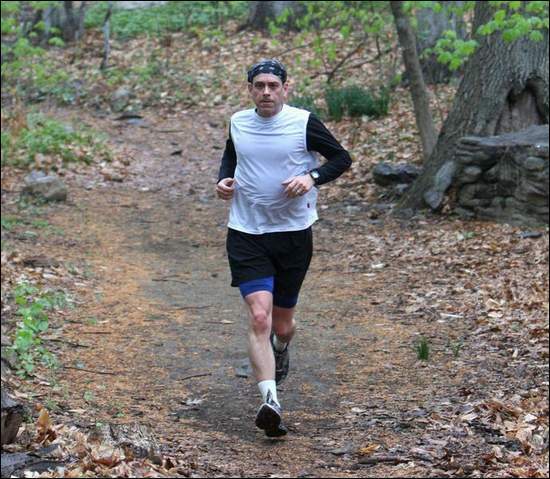 For those that don’t know, I’m the founder and race director for a 1/2 marathon trail race in Westchester County. I wrote about this two years ago as we prepared for the inaugural event. And yesterday The Journal News did a feature story about our 3rd edition of the race (Paine to Pain half-marathon a local gem). Trail runners are by nature a different breed. They’re not your ordinary marathon runners. I’m quoted extensively regarding the work done to create the event, starting in 2002. So in putting on this race, I’ve met a lot of people. Not the meet as in I’m-following-you-on-Twitter meet, but as in hundreds of real people in my own community knowing me as a person. I didn’t create the race as a form of networking, of course, but when people get involved in community events it is a natural by-product. And that may be some food for thought as people go gaga over all those new “followers” they have on Twitter. UPDATE: Some reviews of the race are at the Paine To Pain blog.